Gemma Clark is one of our Property Managers and is responsible for a varied portfolio of residential developments in Dundee, Angus and Perth & Kinross. Gemma joined our Dundee team in 2016 having previously worked with Graham & Sibbald for 7 years. 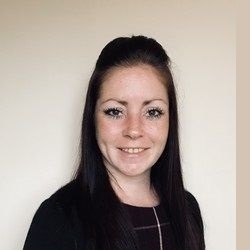 Gemma’s previous work experience includes working as a Property Accounts Manager and as a Property Manager and she is enthusiastic in all aspects of Property Management. Outside of work, Gemma enjoys spending time with her family, outdoor activities and socialising.